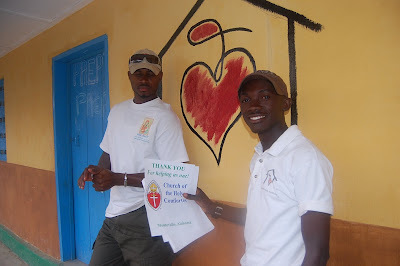 The students of Nazareth House Apostolate Kabala School send out their thank you to all of you. (Click on any photo to enlarge and see in detail). A handful of our supporters have been featured here. James and Alie stand on the porch of the NHA Kabala School. With sweet candy cane still fresh on their lips and pencils in hand, the children return home for the day. As the sun retires, they will climb into their Mosquito Netted beds and dream wonderful plans of how their education will improve their lives and benefit their future. 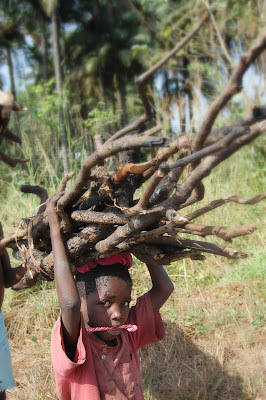 For every child at our school in Kabala, there are dozens more who are not able to go to school - can't pay school fees, no transportation, etc. We've got a lot to do, there is so much need. Yet, we've taken a huge step in the right direction, we are making a difference. Please continue your support. 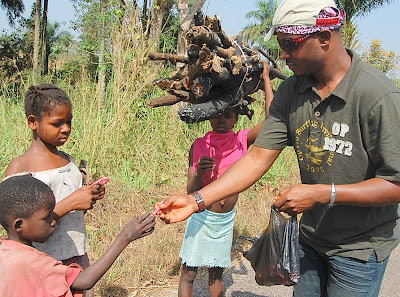 As James and Alie head back to Freetown from Kabala, they distribute the remaining candy canes along the road to some of these children who do not have a new school building, who do not have fancy new uniforms. 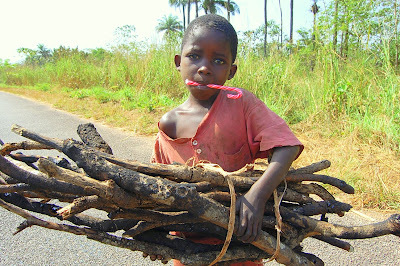 These children have to work hard to survive. They must all work together to help their parents provide. They don't have time for school, no time to stop and savor a candy cane, they must keep on working. Alie helps this small girl with her bundle and her candy cane. 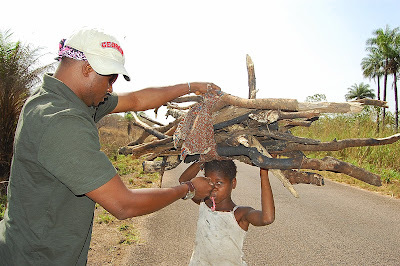 She must walk long and fast to accomplish what she needs for her family to survive. 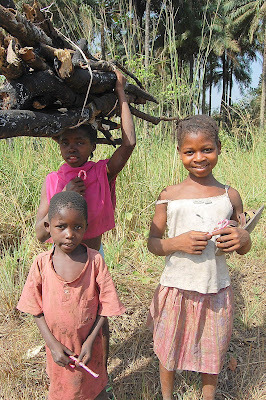 It is these faces, these children that need our help. Help us to help children like these to be children, to laugh and love and be free. Together through Nazareth House we can deepen our work and reach more and more. Please keep up the support.